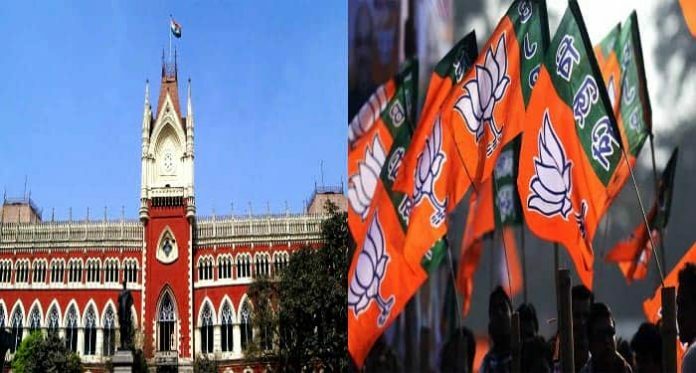 Kolkata / Cooch Behar: A Calcutta High Court judge has issued an injunction on BJP’s proposed rath yatras (chariot march) in Bengal till 9 January. Even as BJP has moved a division bench challenging the injunction that will come up for hearing tomorrow, the saffron party has announced that party president Amit Shah will address the scheduled public rally in Cooch Behar on Friday. “The judge has put an embargo only on the rath yatra. Hence, the public meeting of our president will be held tomorrow as scheduled,” state BJP president Dilip Ghosh has said in Cooch Behar this evening. He said that the party will stay fully prepared so that the rath yatra can be started at once if the division bench of the High Court overrules the single judge’s injunction. BJP workers are working on a war footing to prepare the state and ground at Jhinaidanga on the outskirts of Cooch Behar town for Shah’s public rally. Meanwhile, the state BJP president’s car was attacked by suspected Trinamool cadres while he was passing through Sitai in Cooch Behar this afternoon. They smashed the rear screen of the SUV and damaged its front screen by hitting with lathis. This happened in front of policemen who were clearing the road for Ghosh’s car to pass. Ghosh was seated next to the driver but escaped unhurt. Earlier in the day at Calcutta High Court ordered an injunction on BJP’s rath yatras in the state after the police expressed concern that this could lead to a communal flare-up. 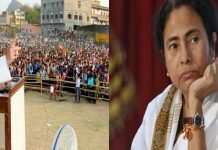 Justice Tapabrata Chakraborty has asked for reports in sealed envelopes from the SPs and DMs of all the districts through which BJP plans to conduct the rath yatras. 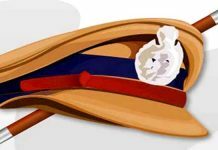 The reports shall have to be furnished by 21 December and the court will then review the injunction on 9 January.